The dangers of using space heaters should not be underestimated. Using electric space (portable) heaters can be a viable option for heating your home or room in an emergency or short term situation. Yet there are many dangers to be aware of. Space Heaters cause an overwhelming number of house fires (over 25,000 residential fires per year) so great care must be taken when operating them. Proper size for the room you intend to heat, check the manufacturer’s specs. An overheat sensor which shuts off if the unit becomes too hot. Only plug electric space heaters into wall outlets, never into an extension cord. Place the heater on the level floor at least 3’ away from any carpets, furniture, curtains, fabric. Do not leave on when unattended. Make certain your smoke and fire detection equipment is operation, has batteries. Oil filled units do not have an exposed element which can ignite airborne debris and can be safer to use. Make sure the unit remains clean and free of debris and dirt, replace unit as needed. 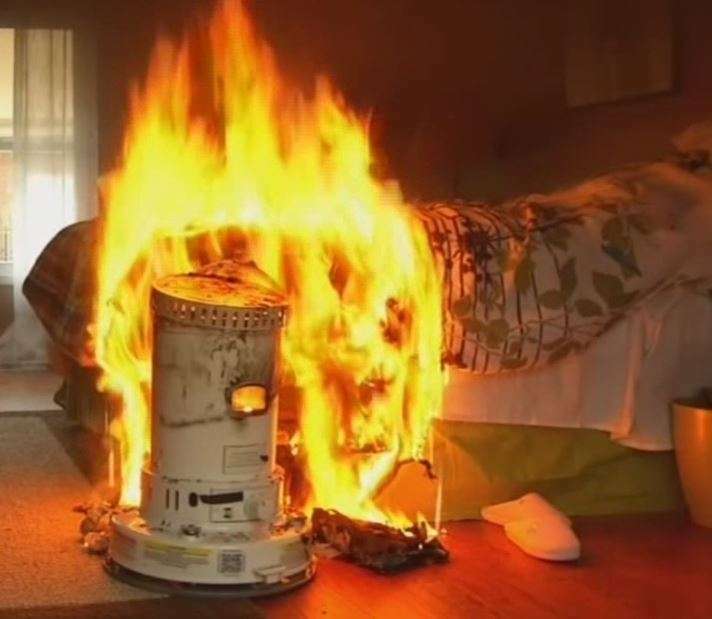 Be safe and avoid Space Heater dangers. Electric space heaters can be costly to operate and pose a real fire and safety threat. Please exercise all caution when using this type of heating option. We at Air Doctor Heating and Air are here to help you heat your home safely.